Rotary Club of Kendal - welcome! Please scroll/swipe down through this page to find out more about us, in addition to the pages linked in the menu, top-left. 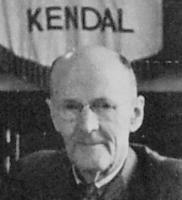 The Kendal Rotary Club has maintained its own website since 2013. It offers over 200 articles about events, projects and meetings together with monthly newsletters back to 2012-13. Welcome to our slimline website which offers quick access to basic information about our club. You can contact us NOW through this link: Contact us or through the contact app on our main website. Alternatively use this link to our Facebook Page .